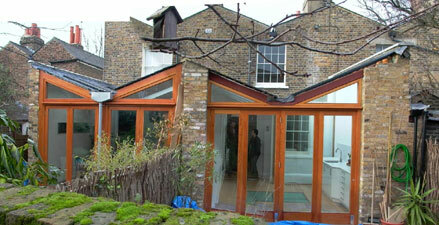 The new kitchen extensions with folding door systems to access the gardens. 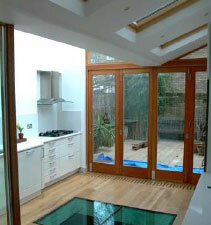 New kitchen with structural glass floor detail. 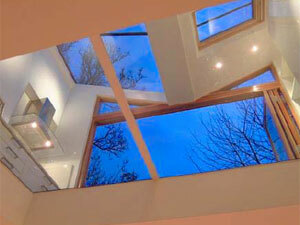 View from the lower ground up through the structural glass to the kitchen roof.